As part of drumming up promo for his Pretty Girls Like Trap Music LP, 2 Chainz gave new meaning to "Music From Big Pink" by renting a house in Atlanta and painting it akin to the one on his album cover. In the weeks since 2 Chainz released his third studio effort, the house itself has grown from a publicity stunt to a community space. As the rapper showed on Instagram, the house played host to a church service this past Sunday (July 2), hosted by community activism group Street Groomers. The "#TrapChurch" service included reflection on the criminal justice system, drug policies, neighbourhood resources and equality. 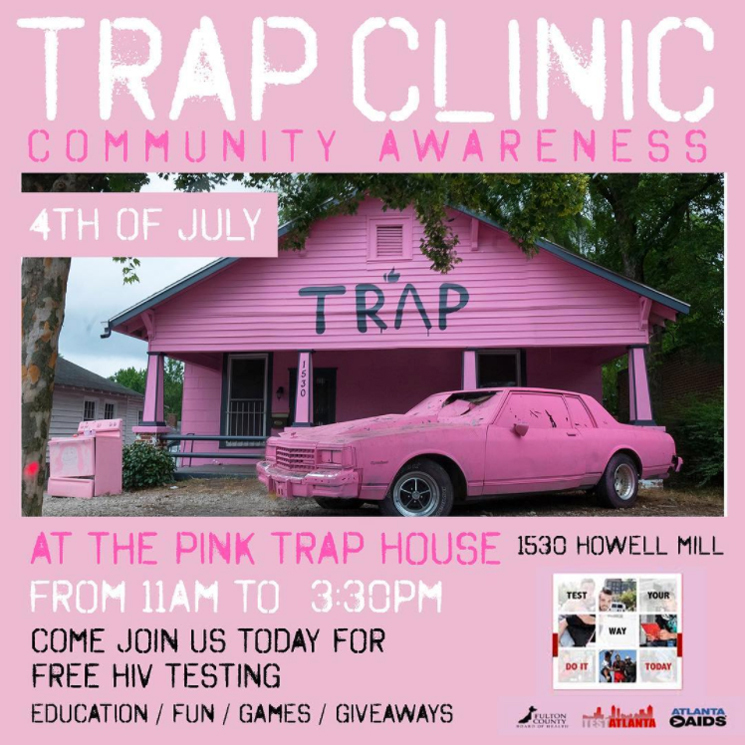 As you can see in the photo above, happenings at the house for July 4 include a free HIV testing clinic in addition to games and giveaways. 2 Chainz even hosted a paint night event at the space for listeners to come "sip & vibe" while putting the pink trap house to canvas. Pretty Girls Like Trap Music is out now through Def Jam. Read our review of the record here, and dive deep into 2 Chainz's career here.